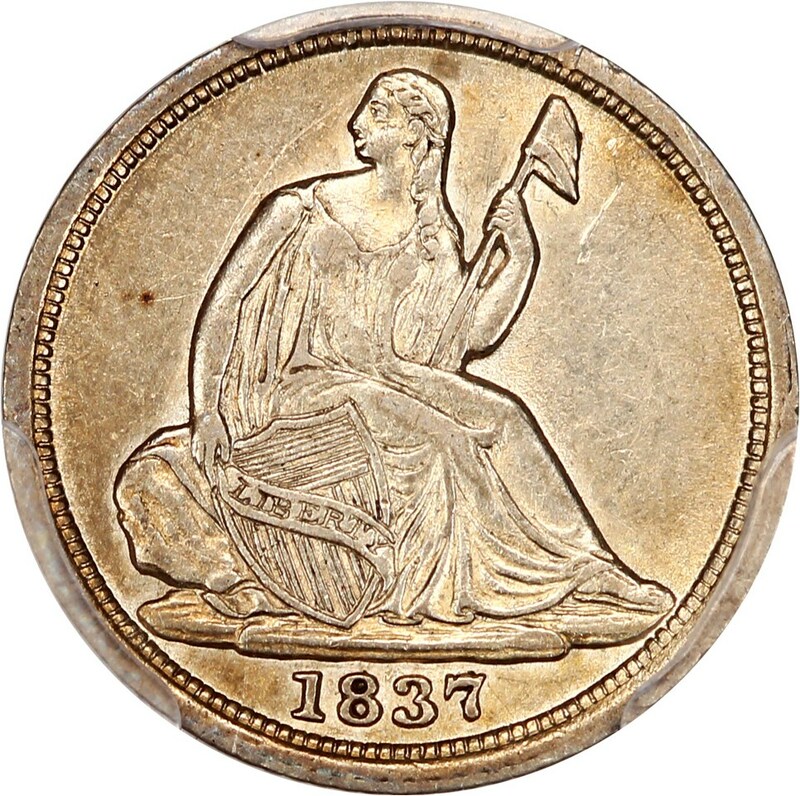 Liberty Seated half dimes were designed by Christian Gobrecht and issued from 1837 through 1873. The Liberty Seated half dime series consists of several varieties distinguished by the presence or absence of stars, arrows, or inscriptions. Liberty Seated half dimes are not considerably scarce in the general sense, but many dates are tough, and most issues are challenging in the better Mint State grades. The scarcest issues are the 1838-O No Stars, 1846, 1853-O No Arrows, 1863, 1864, 1865, 1866, and 1867. However, the most elusive coin is the 1870-S half dime. This is a unique issue, with the one and only specimen known specimen turning up in 1978 and selling two years later for $425,000 in a private transaction. The coin is now estimated to have a value of around $1.5 million to $2 million.